95% of the meals/items I make during the summer seem too simple to end up on the blog (mainly because I’m often haphazardly throwing things together, not taking the time to document anything.) I love the freshness and the color- it’s hard to beat a combination like that. This salsa is one of those ‘recipe that’s not really a recipe’ but I’m serious about the stone fruit. I went a bit crazy at the market, picking up a few of each variety but it’s the best decision I’ve made- the differences in the fruit made for one lovely salsa. While I typically eat this with chips, I think it would be an awesome addition to a quesadilla or a topping for fried halloumi (like this recipe, but with this salsa instead of the blueberry mixture.) I highly suggest playing around with different varieties or you know, just use all peaches- it’s still delicious. Pit the stone fruit and dice into small cubes. 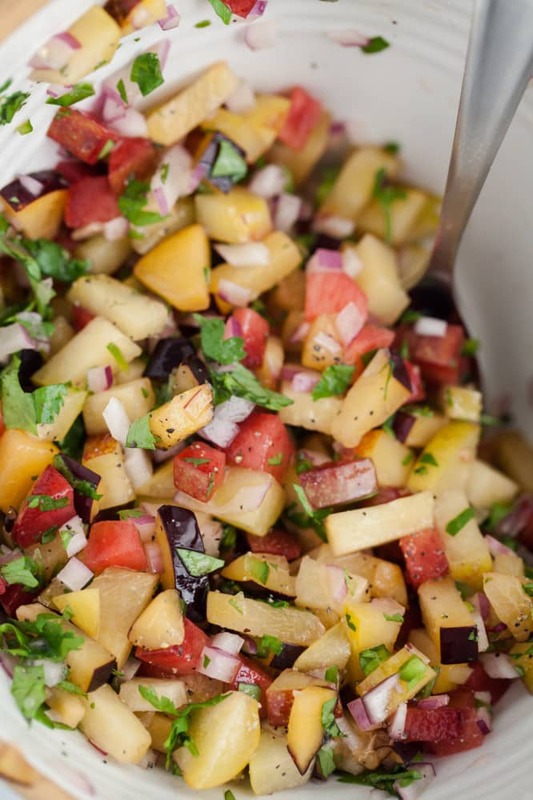 In a bowl, toss together stone fruit, jalapeño, red onion, and cilantro. Squeeze the lime over mixture and add honey, black pepper, and sea salt. Stir until well combined. Refrigerate until ready to serve. This looks delicious. I kinda like the idea of making it a spicy fruit salad and chopping it into large chunks. Also side note – I LOVE that grey pin strip tea towel! 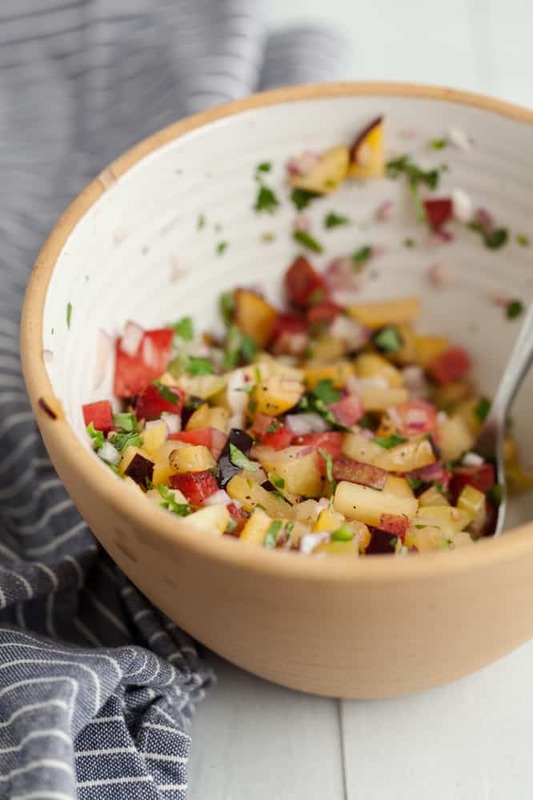 stone fruit salsa?! I’m in. Simple is better in the Summer. And sweet fruit + jalapenos (over that halloumi you mentioned!) = perfect for a hot day. Wow, what an awesome idea. 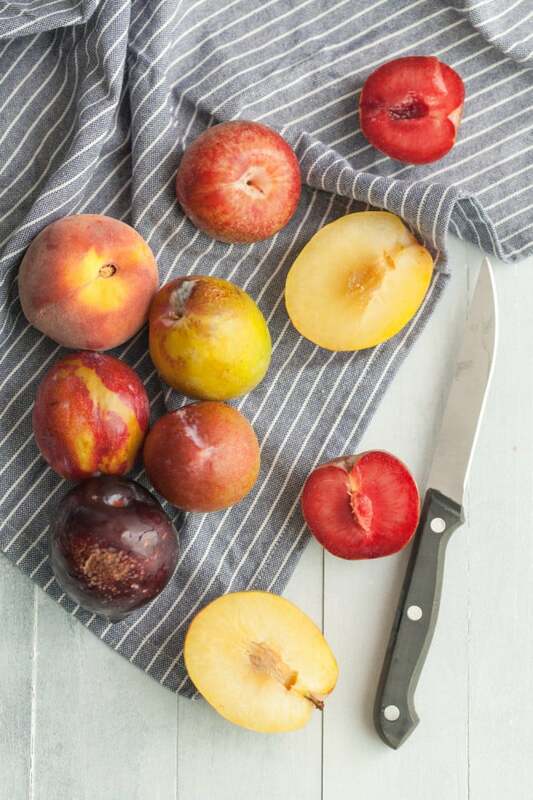 A stone fruit salad? So neat! I don’t think I’ve ever had such a thing before. 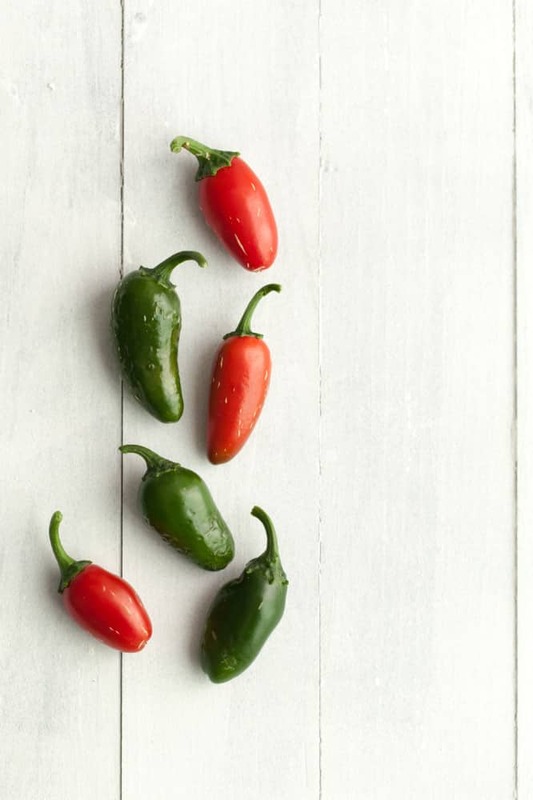 This would be amazing on fish tacos! This sounds like a wonderful change of pace from standards salsas. I’d have to omit the onion, because raw onions and I don’t get along well. It could also be good with grilled meats. Thanks for posting this. Yum! 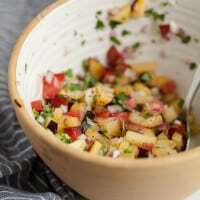 I love to make peach salsa, but I love the idea to add other stone fruit like plums. I love to make mine with some fresh mint, as well. I often skip posting about my summertime meals, as well, thinking that they are too simple. But, I love reading about what others are making, even if the dishes seem simple… It’s a great way to find inspiration for quick and easy meals, especially in the summer. Thanks! This is so me; I am in love with simple, healthy, colorful and fresh recipes during summers. It is OKAY, they say summers are lazy and time to stay fit and fine. Thanks for sharing a quick recipe. Can I add some mint?